When I started my Business degree in 2012 I was terrified! I’d taken this massive leap of faith, but the faith part was fading fast. My past school failures were front of mind and I realised pretty quickly that I didn’t know HOW to study. 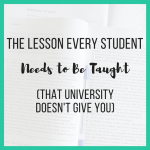 The problem is that university (or college) doesn’t teach us HOW to study. Their aim is to deliver and help you understand the course material and then test your knowledge of it with assignments and exams. …and 100 squillion other things! This realisation hit me hard like a ton of poop. At first, I just wanted to hide. Whenever I came across a study task I wasn’t sure how to approach I found myself retreating and turning to procrastination instead. But as all procrastinators know, the studying doesn’t get done when we’re cleaning the bathroom, clearing out our sock drawers, organising our books into colour order or lying on the sofa seven episodes deep into Greys Anatomy. I felt useless. I beat myself up over and over for not knowing how to study. It felt like my dirty secret and I didn’t want to reach out and ask for help for fear I’d be told I wasn’t good enough for university. For this reason, the first few months of my degree were bloody hard. But then I had a pretty awesome realisation. We don’t judge a new car driver’s driving abilities based on the number of times they’ve been in a car. Just because you’ve been a car passenger for hundreds if not thousands of car journeys, it doesn’t mean you should know HOW to drive a damn car. But we put this expectation on ourselves in our studying. By the time I’d started my degree I had fourteen years of school experience. Surely that’s enough time spent in a classroom to understand how to study? Surely that’s enough experience to know how to learn effectively? I wish it was. But we become successful students by improving our study skills ALONGSIDE studying our course material. Because, once you learn how to study, your studying will transform. - you’ll be so much happier! I finally took my head out of the sand and took responsibility for teaching myself how to study. And boy was I glad for that decision! My grades started to climb, I felt positive ten times more often than I felt negative, and I finally started to believe in myself and my ability to learn. 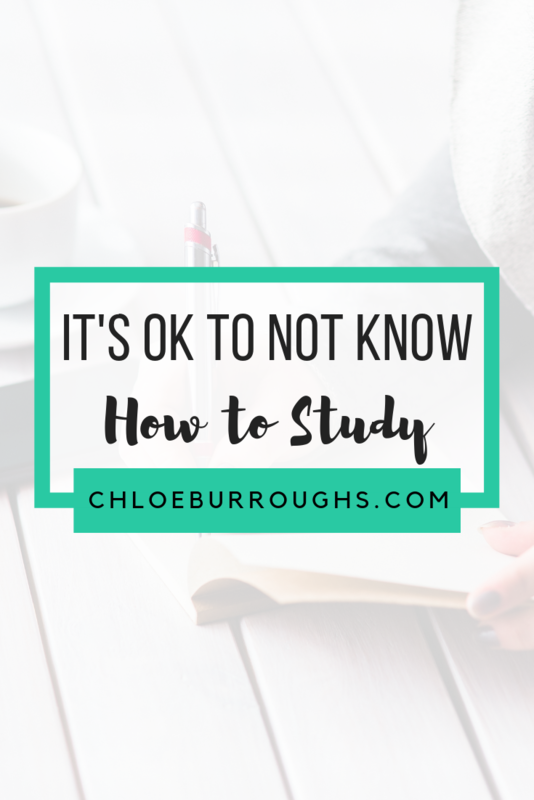 Here’s my best advice for improving your study skills and learning how to learn. 2. Accept that it’s not a crime to not know how to study. You are a kickass student who doesn’t need to hide away, just because you’re not sure how to study effectively. By deciding to return to education you’ve demonstrated to yourself (and me!) that you’re dedicated and motivated. So, let your determination improve your confidence that you CAN learn how to study. Take an honest look at your study skills so you can work out which could do with a bit of TLC to improve. I have a self-reflection workbook you can download for free as part of my Study Success Resource Library. Reflect on how effective your methods are and identify any tweaks you could make to improve them. Pick a study skill you want to improve and search for it at the bottom of any of my blog post pages. Or head to my blog page and have a scroll to find a post to dive into. 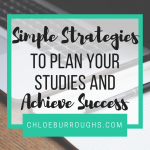 Each of my posts shares actionable strategies you can implement in your very next study session to see results. There are lots of books available that will teach you how to study effectively. I am currently writing a book and will update this page when I have more information about its publication date. But, until then, have a look on Amazon or visit your local bookstore or library to check out some study skills books. When your tutor gives you feedback and comments on your assignments, use this to improve your study skills. 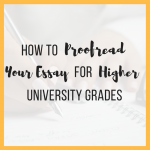 I have a super simple process for turning your assignment feedback into higher grades and if you sign up for my free resource library you can download, print and use my awesome guide and tracker. 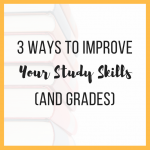 If there’s a study skill you want to improve but you’re not sure how – ask someone. 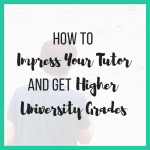 You could talk to your tutor or university and ask for their advice and suggestions. You could talk to other students and find out how they study. Be sure to check if their methods will work for you and your subject but it’s always a good idea to brainstorm with others to increase your ideas. Talk to me! Come find me over on Instagram and ask me your studying questions. I’m happy to point you in the right direction. Firstly, it’s free so 100% exploit this. Secondly, it’s the home where I share ALL my free printables, planners and guides to help you become a successful student. The aim of my business is to help students develop the study skills they need to achieve the grades they want. As a study skills expert, I have a number of online courses available now if you're looking to take your study skills to the next level and learn from someone who's been there, done it and got the super fancy graduation tshirt. 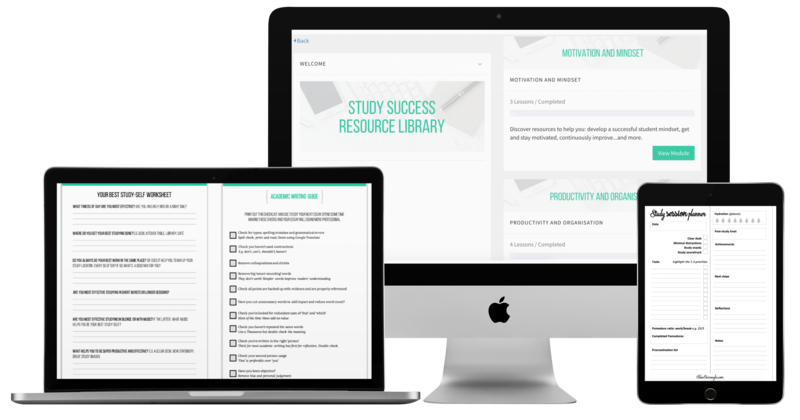 Productivity Power Pack - learn exactly how to boost your motivation, productivity and organisation so you can get in control of your study time and achieve higher grades with lower stress. 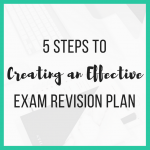 Exam Revision Formula - discover the simple, powerful strategies you need to ace your exam revision and exams. Get the Grades Bootcamp - if you want to improve all your study skills at once, come join me for a virtual weekend where I'll teach you everything you need to know to become a confident learner and achieve the grades you need for the life you want.